Today’s Morning Buzz is by Morning Buzzer Anna Marum – connect with her on LinkedIn and Twitter! As the Smart Cities movement takes hold of our collective consciousness, communities across America are eager to incorporate tools to improve efficiency. But technology evolves quickly, and it’s hard to keep up. The public sector moves deliberately, guided by rules and regulations to ensure taxpayer dollars are spent wisely. Private-sector innovators are often in a race against competitors, trying to develop technology that puts them ahead. Despite this natural tension, these two groups have a lot to offer each other, especially when it comes to Smart Cities technology. So how can the public and private sectors work together to improve communities? 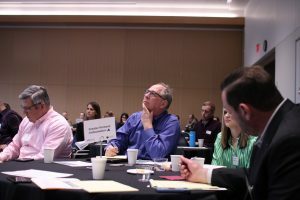 A year ago, Greater Portland Inc, the regional economic development organization serving Oregon and Southwest Washington, along with the Technology Association of Oregon, debuted the Greater Portland Tech Challenge. 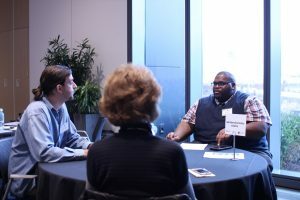 Public-sector partners, nonprofits and others from around the region pitch their biggest challenges to an audience of tech firms. Tech firms, in turn, pitch their Smart Cities solutions tailored to those specific challenges. Both sides then meet for small group discussions to explore these challenges in more detail. Public-sector partners then choose which tech firms they may want to work with on a pilot or demo project. 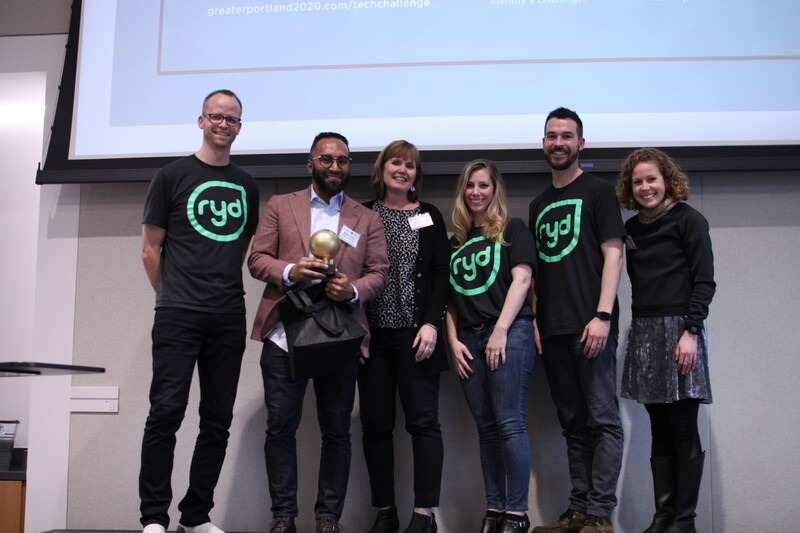 This year, the City of Vancouver and ride-share company Ryd awarded a tech firm with a golden light bulb, signifying interest in a further conversation. 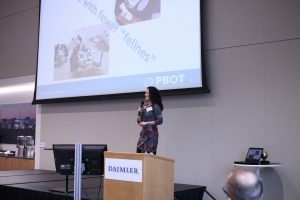 Explored alternative transportation solutions (including self-driving shuttles and bike lanes) for the redevelopment of the Lake Oswego-Portland trolley line. Used street-level imagery to identify fixable issues such as trees blocking stop signs or stretches of road in need of sidewalks. Explored technological solutions to make transit more equitable for all mass transit users. Considered solutions like data-fed digital signage that could help drivers heading south from the Vancouver area decide when to use public transit options like C-Tran. An important element of the Tech Challenge? Equity and inclusion. We ask participants to keep these tenets top-of-mind to ensure everyone benefits from Smart Cities problem-solving. So what can the public sector and tech companies gain from pilot projects? Public partners appreciate the collaborative process. It provides communities with insight into tech firms’ capacities before entering into time-consuming RFP processes that could head off in the wrong direction. Tech firms gain the chance to better understand local challenges. They also get to introduce new products to potential clients, as well as learn about the needs of the organizations. Another perk? Because the Tech Challenge is laser-focused on solving specific problems, the conversations tend to be more productive and based on outcomes. 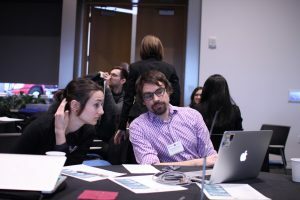 In the end, the Greater Portland Tech Challenge enables both public- and private-sector thought leaders the chance to learn more about the future of Smart Cities. Curious to know more about the Greater Portland Tech Challenge? Visit our website.